Hello Friends! Just thought I'd let you know that I'll be signing my Discover America book at the Midway, Utah Swiss Days this Friday, August 29 from 2pm-5pm in booth #46, facing Main Street in Midway. It's THE BOOK SHOPPE's booth. Come by and say hello, get some coloring pages for the kiddos and their hand stamped. And you can even get a book if you feel so inclined. And then have a blast browsing the rest of the fair. 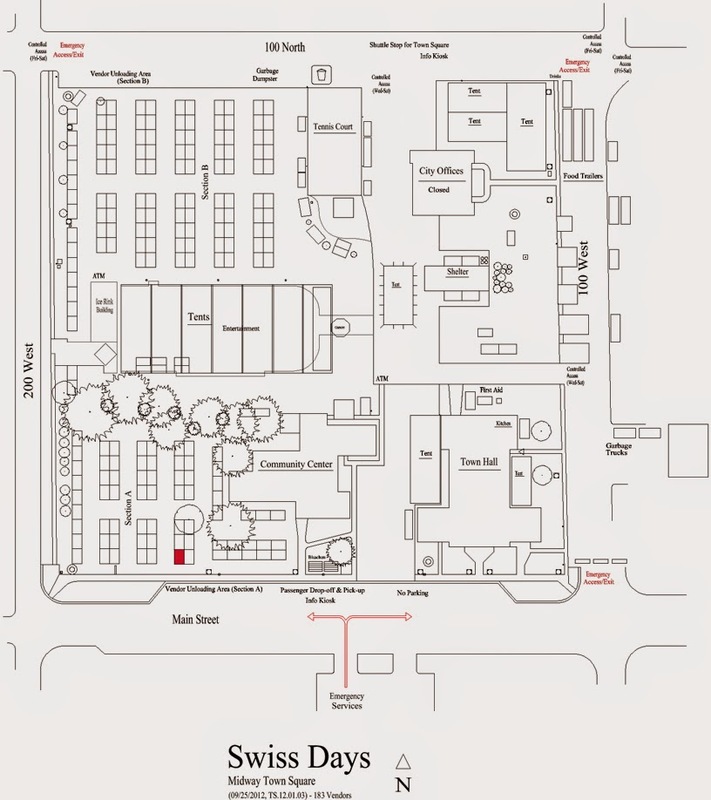 Here's a general map of the booths at the fair and the one in Red is the booth I'll be signing at. An open call to action to ALL artists everywhere! All artists, (that means students and professionals, painters and cartoonists, sculptors and illustrators, animators and fine artists, EVERYONE who creates) this September 2nd is World Art Drop Day. Wherever you find yourself that day, drop a piece of your art and tell someone where to find it. The world needs this right now. We need to feel a little more connection to each other and there's nothing like the bond two random strangers can make through the act of creating and giving. I recently just finished a cross-country art drop this summer and it was exhilarating. The emails and responses I received from the finders ran the gamut of funny to touching. I want that for everyone! Draw a picture and hide it somewhere. Take a photo of either the art or the hiding spot or a combination of both. Then move on, hoping someone finds it. OR hang around and meet your new friend. I need your help spreading the word on this. Reblog it, retweet it, facebook it, or even tell someone in person! September 2nd, lets connect the whole planet with art! Literary Agent, Jodell Sadler will be doing picture book critiques Aug 30, 2014 at Sundance Lodge Writing Retreats, up in the mountains of Utah at Sundance Lodge. In addition, 4 professional authors/illustrators will be presenting tips and advice on writing picture books. The cost for the whole day (including 3 gourmet meals) is only $150. If you need lodging for Friday and Saturday night, cost is another $100. Contact Mette Ivie Harrison (mette@argonautfilms.com) to get signed up and get more information. Other guests include Julie Olson (Discovering America), Kristyn Crow (Zombelina), Sharlee Glenn, and Shawna Tenney. Great views, great company, the best food, a chance to meet casually with other writers, new and more experienced, along with the chance to talk one-on-one with an agent--it's a chance that's hard to beat. In addition to the critique, you'll have a chance to talk casually with all of the presenters and with Jodell, and to ask all the questions your inquiring heart desires. See pictures of the retreat lodge here...www.sunshinewritingretreats.com Check it out for pictures of the retreat location as well as of the yummy food.